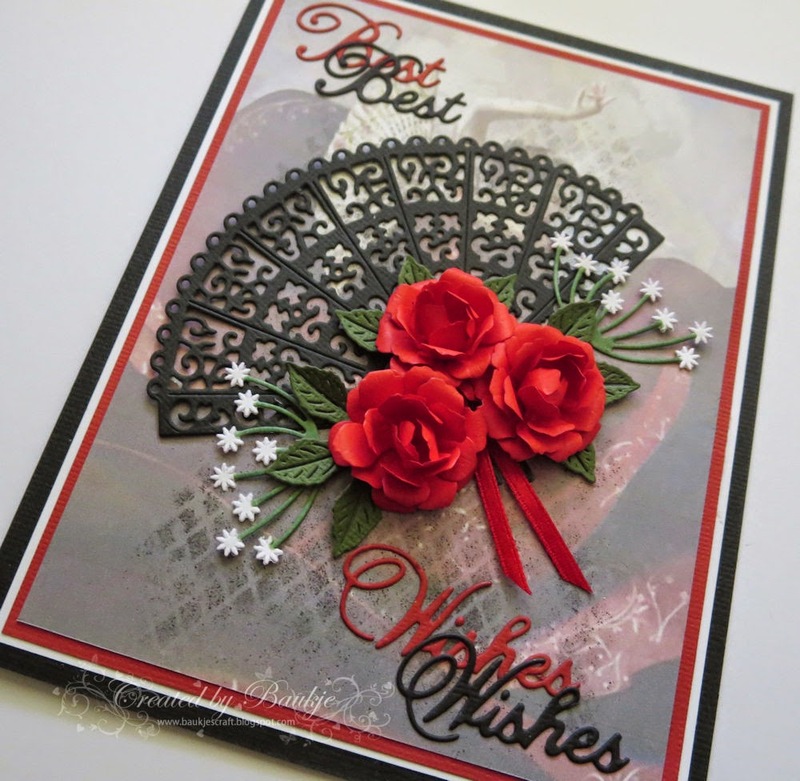 Using the beautiful Tattered Lace Oriental Fan die. 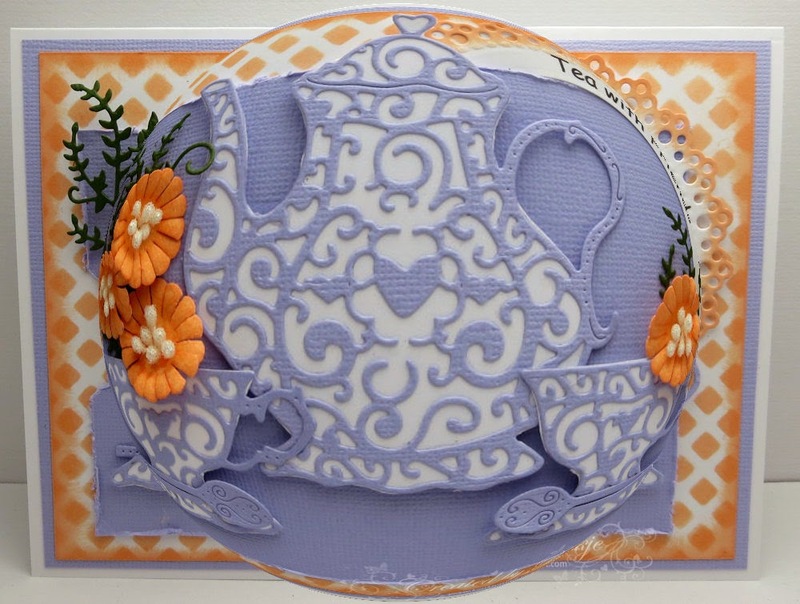 Kaaren has a huge range of these beautiful dies in store now, check them out here. 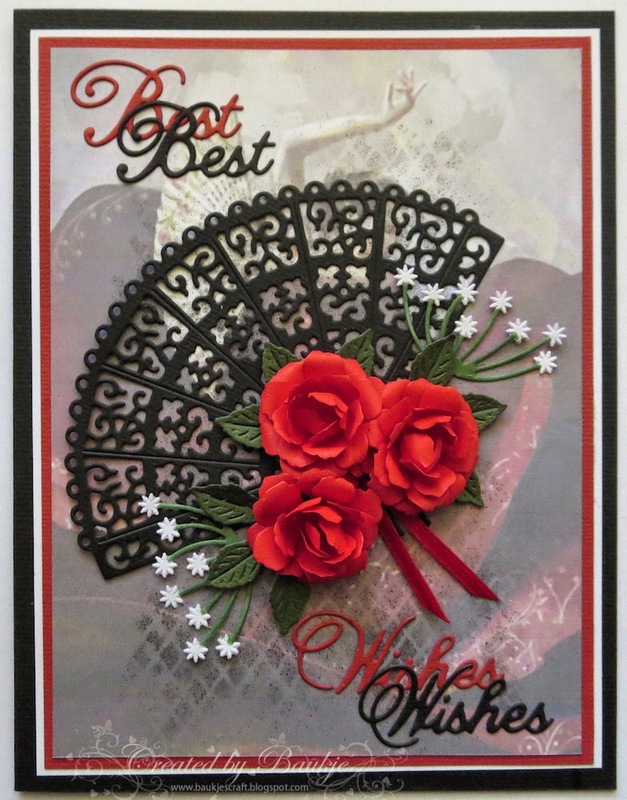 For my card I started with a picture of a Flamenco dancer that lightened before printing it out, then used the Memory Box Texture Diamond Stencil and lightly spritzed with a black marker using the Perfect Airbrush Colour Spritzer. I'll list the remaining dies I used below my card. 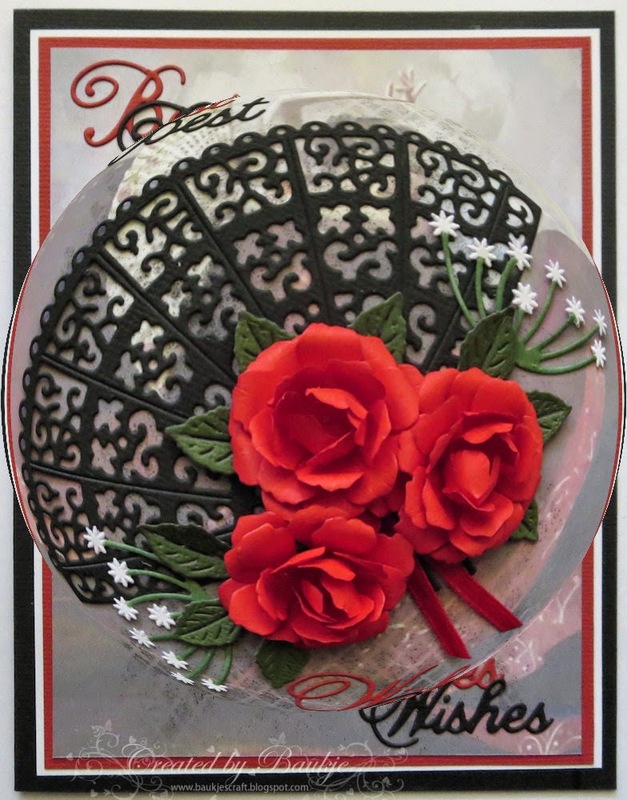 Also used was the Cheery Lynn Dandelions set of two dies set. 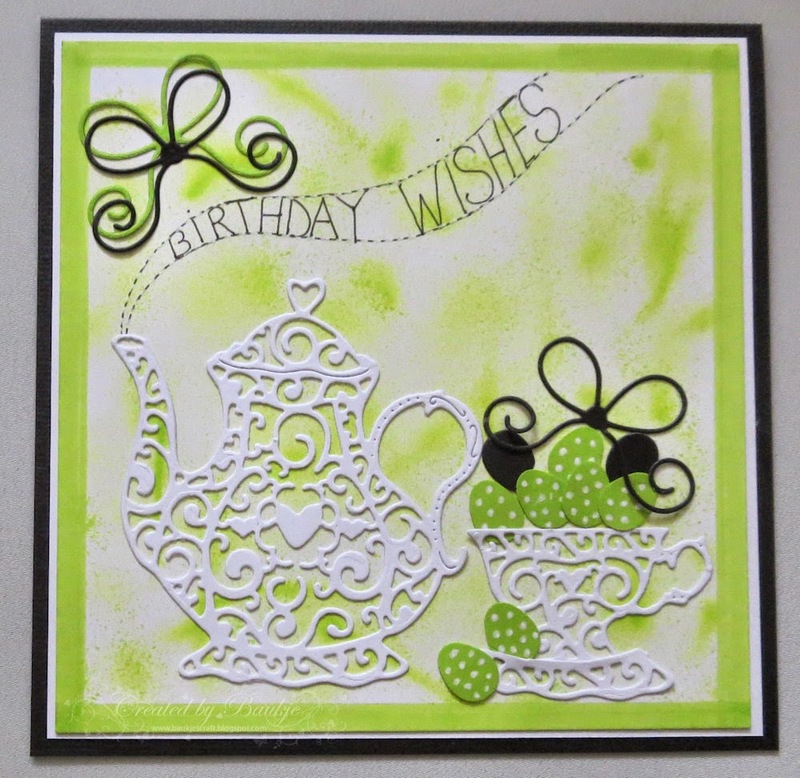 I am back today with another two cards for Kaaren at FatCats Card Corner, they both feature the Tattered Lace Mini Tea Set Die set. 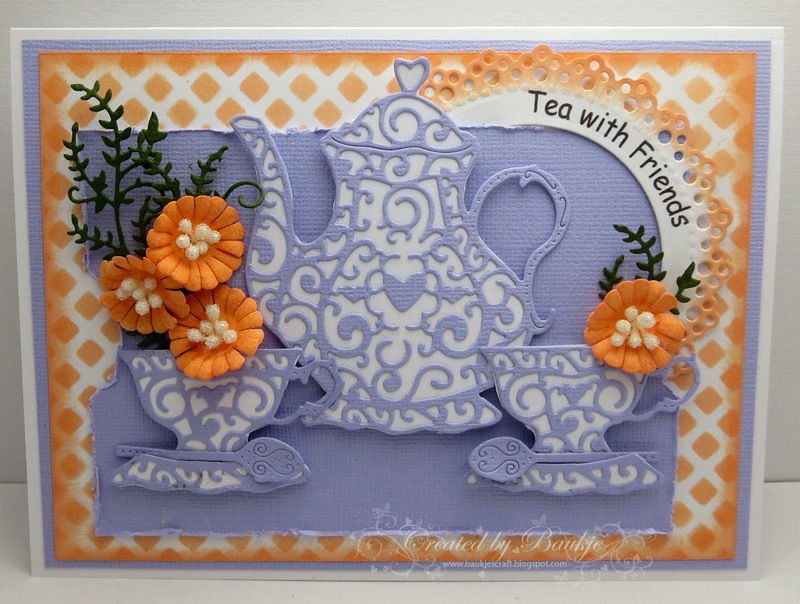 For this first one I started by creating the background by using a die cut I cut from from Spellbinders Basic Lattice die and using it as a stencil and sponging with Dried Marigold Distress Ink. I then cut a rectangle for my tray and using a circle punch punched out the notches for the trays handles then using my scissors distressed the edges. The tea set doesn't come with saucers so I used the bottom of the tea pot as saucers. I cut the middle out of the Marianne Craftable Circle die and slipped it in behind the corner of the tray. The flowers I made with the smallest of the dies that come with the Marianne Craftable Circle die and the leaves are the Cottage Cutz Fall Vine Die. Tea with Friends was done on my computer. I started this one by spritzing the background using the Perfect Airbrush Colour Spritzer and a copic marker. 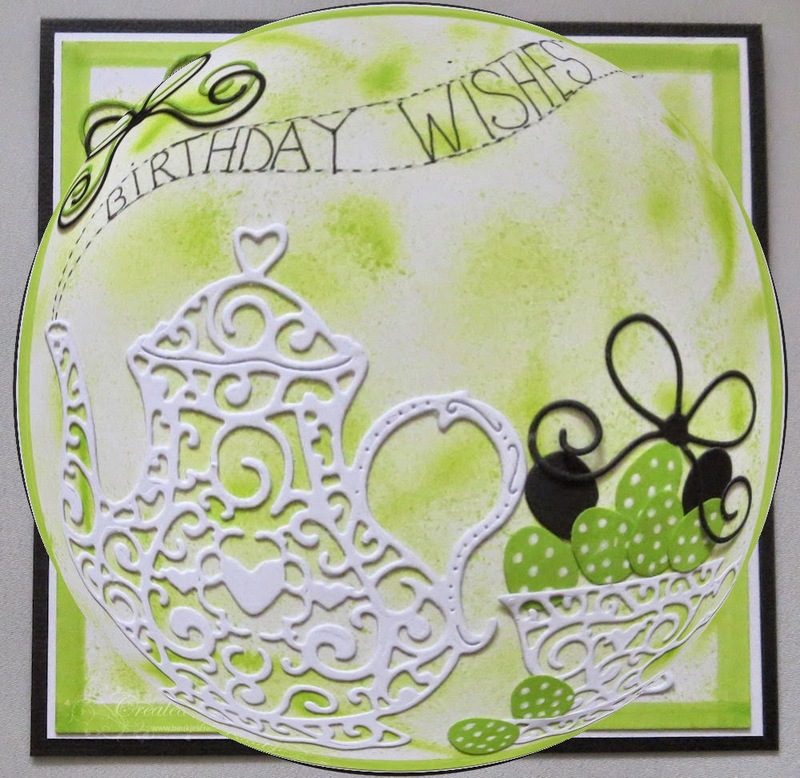 I didn't add a backing to the beautiful Tattered Lace Mini Tea set this time so all the background could show through. I just drew some steam coming from the tea pots spout freehand and added the wording by hand as well. The bow is Impression Obsession's small bow and the little eggs are from the cut outs of the bow. And some more playing in Paint Shop Pro X2 using the Effects - Geometric - Spherize. Thanks so much for stopping by I really appreciate you taking the time.